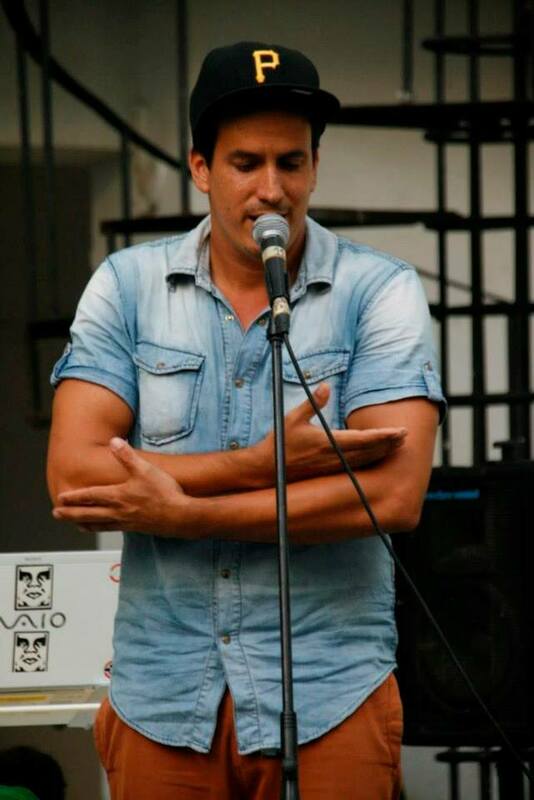 Elier Alvarez, Executive Director of Caminos de Palabras, a growing organization in Havana dedicated to supporting spoken word poetry in Cuba, graciously agreed to an interview with us by email. How did Caminos de Palabras get started? Caminos de Palabras emerged as a promotional group in 2011, with one clear idea of what we wanted to achieve. At the time, there was a big difference between the way Cubans wrote and performed and the way North American and Puerto Rican artists, (who serve as practical references for us to establish a direct comparison) wrote and performed. 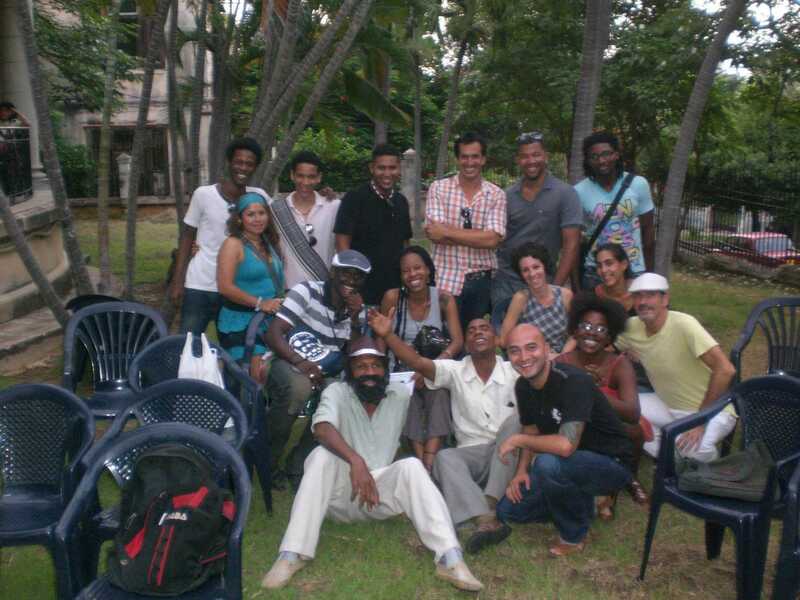 Due to these differences and because Spoken Word has spread very little in Cuba, this project emerged with the idea to circulate knowledge of Spoken Word as a poetic movement; to study this poetic movement, including how its Cuban variation works; to promote the Cuban creators of this poetic form; and to establish exchanges with other ways of creating poetry: music genres like bolero, son, trova, rap and hip hop. 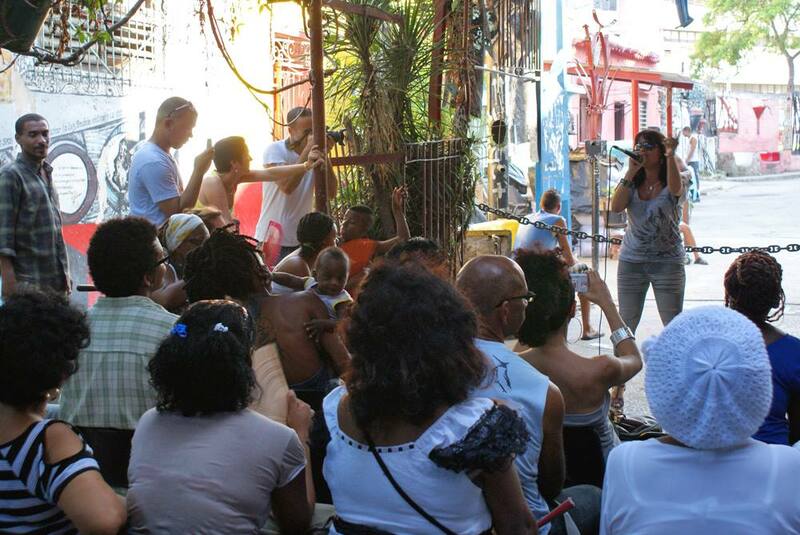 What are some of the qualities that you think characterize the spoken word movement in Cuba? How do people find out about spoken word events? 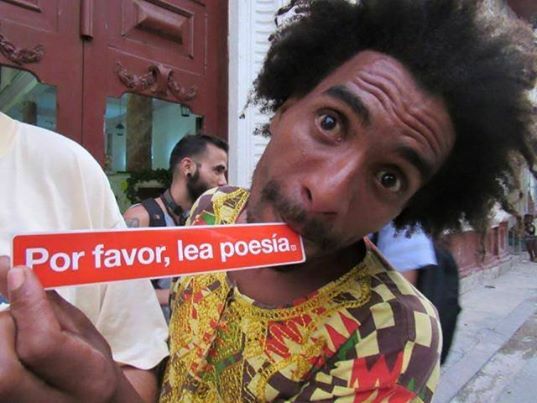 We use the term “Poesia Hablada,” not “Spoken Word,” because of the differences between the two, which are due to the identifying qualities of Cuban performance poets and the history of Cuban poetry, in a context where poetry arrived as much from Africa with the slaves as from Spain with the enslavers and traders of the time. 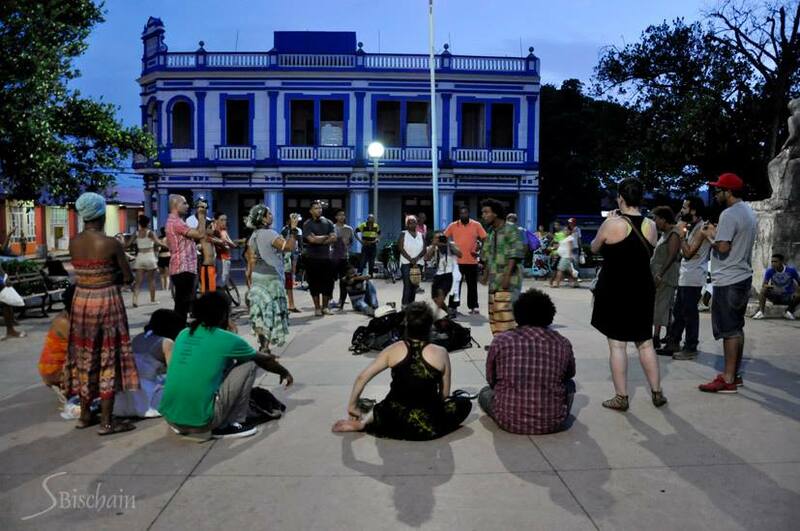 To say that performance poetry arrived in Cuba during our time is not true. The decima and repentismo forms were classified as literature and at the same time as performative poetry. On the other hand, it was general knowledge that the African ritual chants of Ifa- the Yoruba religion, rule of ocha and Ifa – have performative characteristics, however it has recently been demonstrated that these are poetry as well. Taking into account this parallel, which forms an essential part of Cuban culture and idiosyncrasies, is necessary to understand why Paul Flores, professor of Spoken Word and Hip Hop Theater at the University of San Francisco, stated that people don’t make Spoken Word poetry in Cuba when he visited our country in 2012. Increased participation in the Poesia Hablada scene in our country has been very slow because of the conditions we work in – the economic shortages, the shortages of viable and effective means of communication, of resources and the poor internet access on our part and on the part of Cubans in general. But the way to solve these problems has been envisioned through the creation of the project “Forging Lights,” which we are working on now. This project would be the solution to all of these issues, but at the same time, the dialogue hasn’t permitted us to be able to concretize it in any form—despite everything the project will guarantee to those who collaborate with its execution, since it will be developed through the use of a diffusive underground network in Cuba, along with the internet and Youtube. What does Caminos de Palabras hope to accomplish? Caminos de Palabras, in a conscious way, wishes to emerge from the subculture status associated with it and to make possible a viable way of fostering and enriching the lives of the poets and artists across the island and at the same time to provide a real source of cultural enrichment for the people. Ideally one that enables a change in the way that the Cuban population thinks and a development of the capacities and the reality of our island. Do you think spoken word poetry can play a role in social and political change? Poesia Hablada emerged from Cuban hip hop culture and retained everything that has happened within it, the good and the bad. Studies associated with the hip hop generation in the U.S. are reflected in this poetic context to see how people formed in the academy, like the poetic forms decima and repentismo are, dialogue perfectly in the poetic context that this culture framed. At the same time, this hip hop context marks a generational difference in social views and it takes the country to the vanguard starting from its successes, which motivates the state to not permit this culture in Cuba to succeed in unifying all its elements and working in a coherent form. Has spoken word in Cuba/Caminos de Palabras been affected by the changing relationship between Cuba and the U.S.? In what way? Since last December 17th, everything that has been happening has directly involved us and has allowed us to work much faster at achieving the goals we have proposed. At the same time, it is the meaning of what is needed for development and to give continuity to what we have been doing for almost five years. Right now, the process of changing our society and its relationship with the U.S. will allow us to work with stronger links to North American and international promoters, producers and companies. Fine article. Best wishes to you guys and your sterling objectives!